As I write this, there are still seven weeks to go before Christmas Day is here. I figure that is more than enough time to start getting organised for the festive season. Absolutely no need to panic. 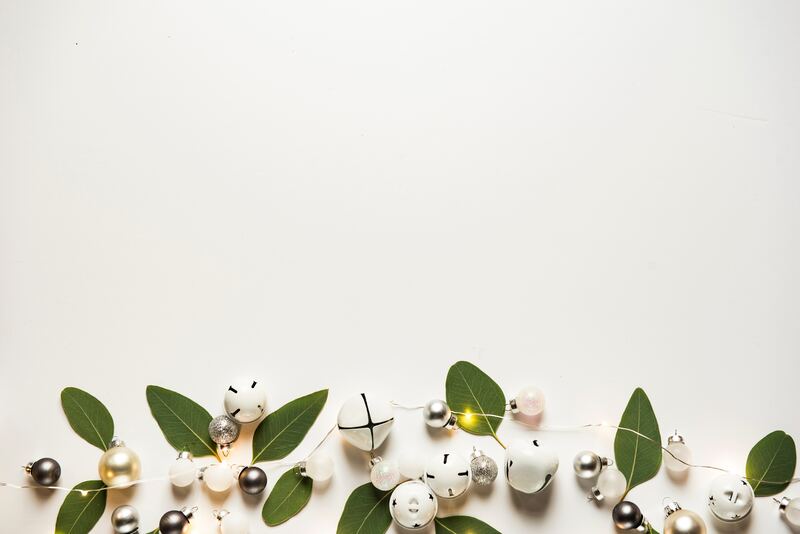 So I’ve been busy gathering the best tips I can find to help make sure all of our Christmases run as smoothly as possible (family feuds aside, I’m afraid I can’t help with that bit). Remember to make time for yourself too. You shouldn’t do this all on your own! Delegate some of these tasks to your partner, kids or any other willing person you can find! I’ve put together a six-week Christmas countdown for you, so that you don’t forget any important tasks in the run-up to the big day. As you can see the first couple of weeks are quite busy but that’s because the key is in the preparation! Get stuff sorted now and you’ll have more time to relax later, I promise. Are you ready to nail this year’s Christmas? Yes? That’s the attitude I’m looking for! Okay lovely people, here is your six-week Christmas countdown. I have even included a lovely printable for you at the bottom so you can print it out and pop it on your fridge as a reminder. Buy Christmas cards (if you haven’t already ordered them from school). Write your Christmas card list (save it on your computer so that you can simply add people to it – or delete them! – next year). Check you have enough wrapping paper and sellotape (we use the tape dispenser that you wear round your hand, which is an amazing invention but it does run out quite quickly – stock up!). Make sure you buy wrapping paper that can be recycled – not all of it can! Write a present list. Set a budget and try to stick to it. Scour school newsletters and add all the important dates to your calendar. Book a haircut or spa treatment for you as a treat to look forward to. If you traditionally meet friends or family for a pre-Christmas meal, book a table. Order presents online if possible (try to get as much as you can to arrive on the same day to reduce time spent chasing missed packages). Have you remembered batteries? Start to declutter toy areas so there is space for new toys – the kids can help with this and if they don’t want to get rid of anything, you’ll have to subtly do it yourself. Book a Christmas delivery slot for your shopping, if you shop online (highly recommended!). Dig out important Christmassy items such as Christmas stockings, jumpers, PJs, Elf on the Shelf, tree decorations and lights, etc. Arrange a date night with your partner and / or a girls’ night out to look forward to. Check present list – do you have everything? Write your Christmas grocery list. Plan your Christmas Eve boxes, if you do those. Wrap presents and find a suitable hiding place. Buy and decorate your tree. Buy yourself something new to wear because you deserve it. Check your lists – have you covered everything off? Give yourself a pat on the back for being an amazingly organised mama. Go on your date night / meet the girls. Is there any food you can prepare now and freeze, i.e. sauces? Enjoy your Christmas haircut / pamper treatment. Set the table if you can. Charge batteries in tablets, phones, cameras, etc. …and relax. It’s Christmas! Enjoy yourselves lovelies. I hope this is helpful and please do let me know below if I’ve forgotten something important! Download ‘Your six-week Christmas countdown‘ printable to pop on your fridge – it’s free! Love this! I tell myself I’ll be organised every year, and yet still find myself buying presents the week before…I’m pinning this. Yay, glad it’s helpful for you! I’m exactly the same! Thanks Helena, hope it helps! Love this! I love Christmas but it’s so much easier to relax and enjoy it when you’re organised! Definitely! Less stressful all round! You sound really organised to me! How very organised, and so helpful. I’d love it you’d pop it on the Christmas linky on my blog so I can keep sharing it with all things Christmassy. I’m so happy you found it useful. I will check out your linky! I’m getting excited too! Really pleased the planner is helpful!